Posted on July 31, 2013 by auvsiadmin in Environmental Protection, News. Posted on July 29, 2013 by auvsiadmin in Enhancing Public Safety, News. Posted on July 29, 2013 by auvsiadmin in Environmental Protection, News. Posted on July 26, 2013 by auvsiadmin in Enhancing Public Safety, News. Posted on July 24, 2013 by auvsiadmin in Disaster Response, News. Posted on July 22, 2013 by auvsiadmin in Advancing Agriculture, News. Posted on July 22, 2013 by auvsiadmin in Environmental Protection, News. 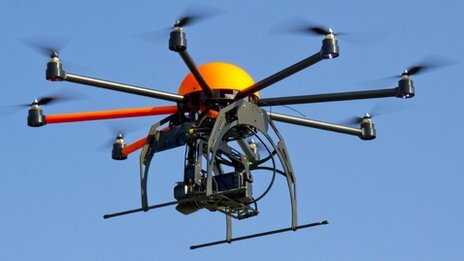 Care2: Weedkilling Drones: The Answer To Toxic Herbicide Use? Posted on July 18, 2013 by auvsiadmin in Advancing Agriculture, News. Posted on July 18, 2013 by auvsiadmin in Enhancing Public Safety, News. Posted on July 16, 2013 by auvsiadmin in News, Unmanned Unplugged.